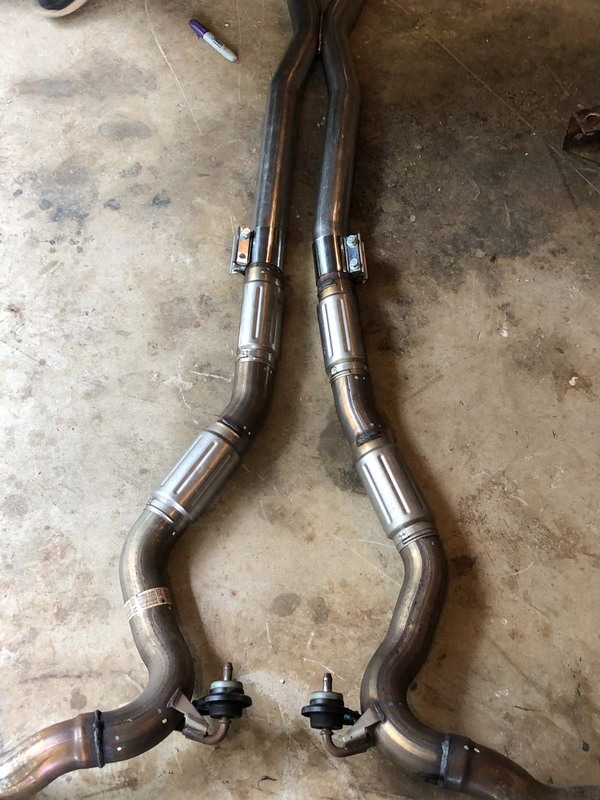 Steeda's 304SS Resonator Delete X-Pipe for your 5.0L, Coyote powered S550 Ford Mustang GT is the best way to improve sound and increase performance at minimal cost, all while losing up to 7 pounds of weight. The X design, with its smooth transition, creates more scavenging effect than traditional H designs for increased power at high RPMs and a race inspired exhaust note. 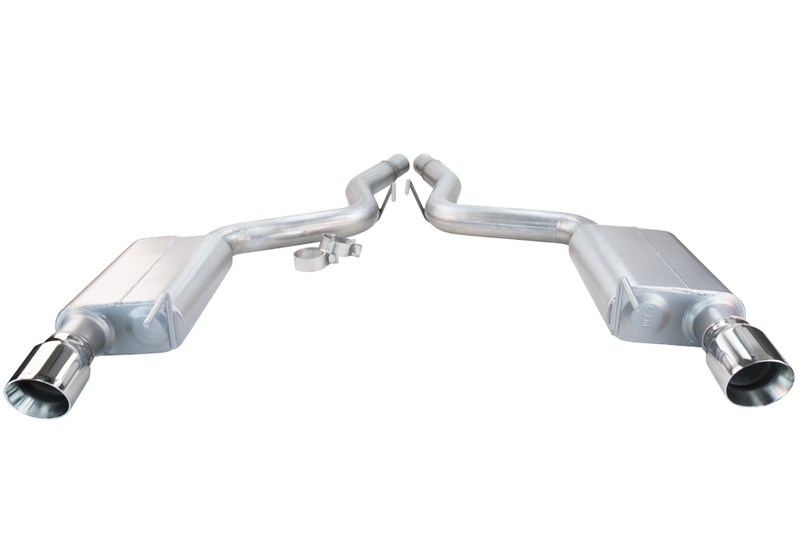 With mandrel bent 2.5"diameter tubing, the X-pipe easily installs between the factory catalytic converters and the factory mufflers. 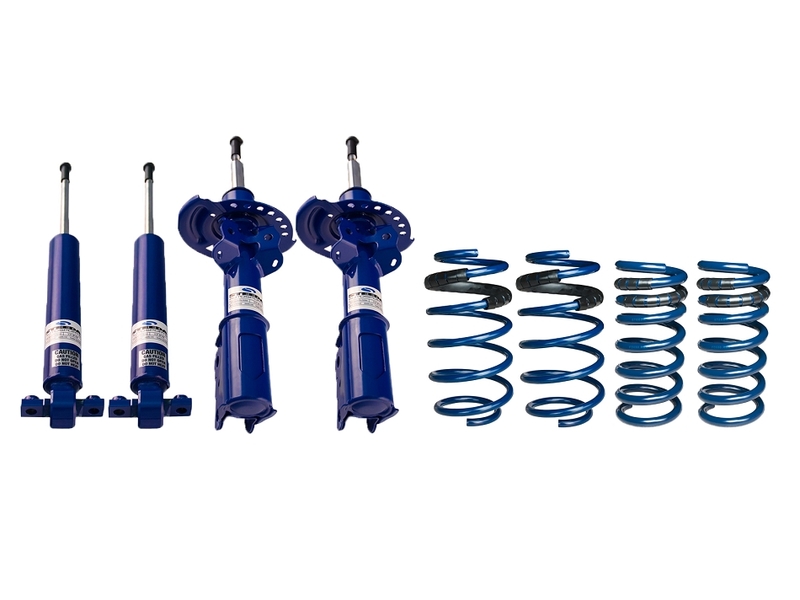 It is also compatible with virtually all aftermarket axle back exhaust kits. The T-304 stainless steel mandrel bent tubing will not develop surface rust typical with 409 stainless or rust completely through like aluminized mild steel. 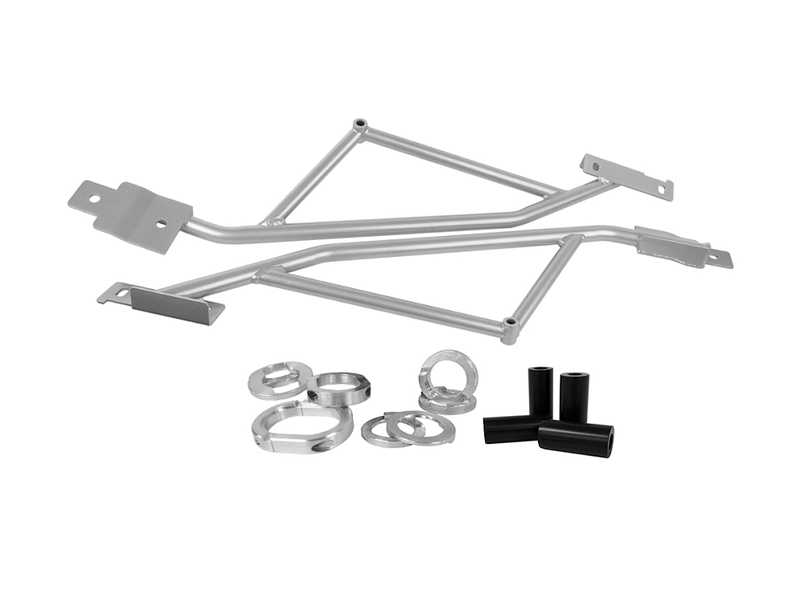 The flush fit exhaust clamps allow for shortening of the X-pipe if needed and prevent exhaust leaks common with expanded end kits. Note: Some 2018 and all 2019 GT models have integrated heat shields welded to the OE exhaust assembly requiring shortening 555 3610 X-pipe or removal of OE heat shield. 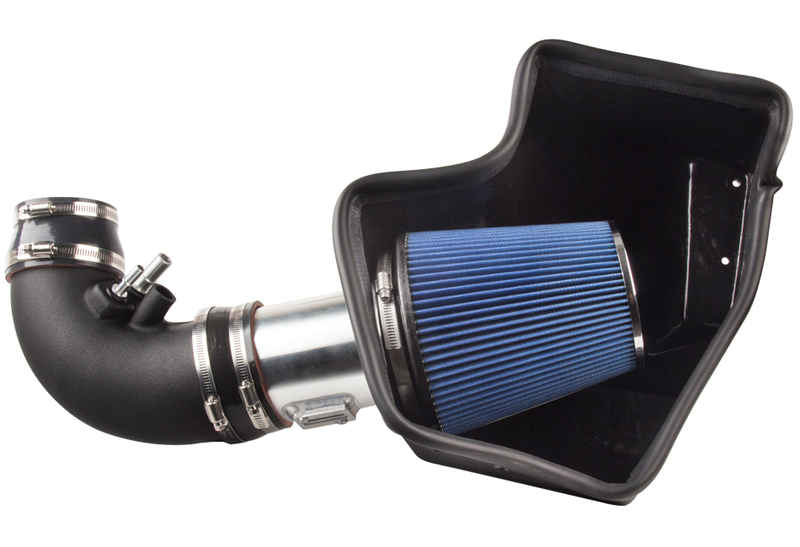 Steeda's newly developed X-pipe555 3618 is direct fit for 2018+ models with OE heat shield. Hi everybody Brian from Steeda.com here today to answer a very important question for you S550 owners to H-Pipe or to X-Pipe that is the question. Now we can understand the confusion because both of them look very similar to one another. They're both made of T 304 stainless steel. They both replace the OEM resonator both save a lot of weight off the middle of the car and both change the sound and add some performance to the car. So we're here to help answer and guide you toward which may be better suited for you. We'll start with the H pipe. The H Pipe will give you a little bit of a deeper sound. A little bit more of a muscle car sound. A little throatier, but not quite as a raspy up top. As we move on to the X Pipe that's we're gonna get your higher RPM raspiness and a real nasty growl as you get toward red line. As we referenced a moment ago, both of these are a replacement for the factory resonator. 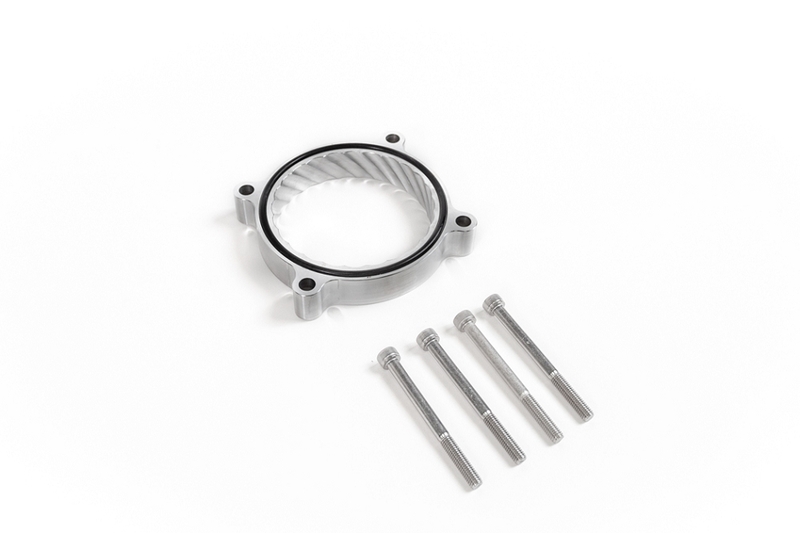 The tubing is the same size and we provide the clamps for a nice clean installation. Since these utilize the factory exhaust gives you your choice of any axle-back that you want so you can truly customize the sound of your S550. 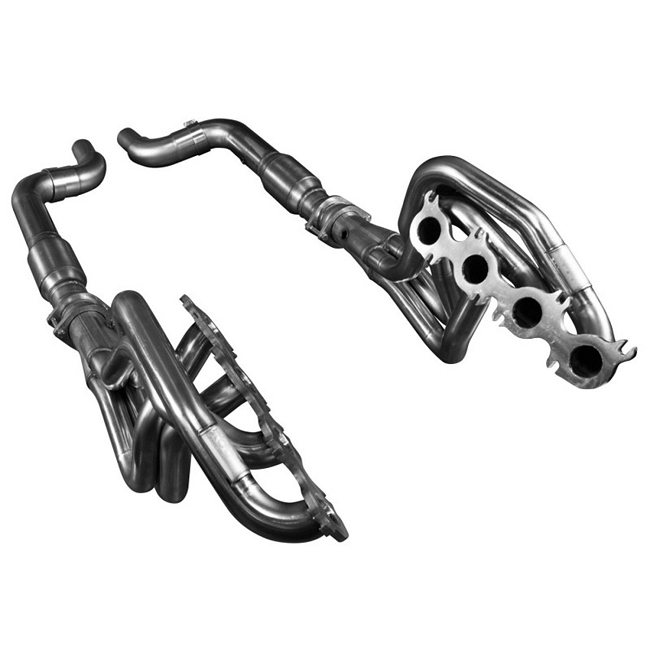 Now with regards to performance both of these are going to increase performance nearly equally the X Pipe will just slightly edged out the H Pipe in peak performance just by a little bit. So in all reality it comes down to the type of tone you're trying to get out of your exhaust and this brings us back to our original question. To H Pipe or to X Pipe. Which did you choose? X-pipe came packaged very well and fast. Looks awesome and well built. I had it installed at a local muffler shop, took them an hour. Boy did this thing make my 2018 sound much better. This is a must do mod, sounds like a Mustang now! Sounds better than the Roush x-pipe on my buddy's 2018 GT with non-active exhaust. Nice snarl/growl at low rpm but when you step on it it SCREAMS, even with the stock mufflers. Great quality, excellent price, couldn't be happier with the purchase! If you are looking for a deep growl without breaking the bank, this is a great place to start. 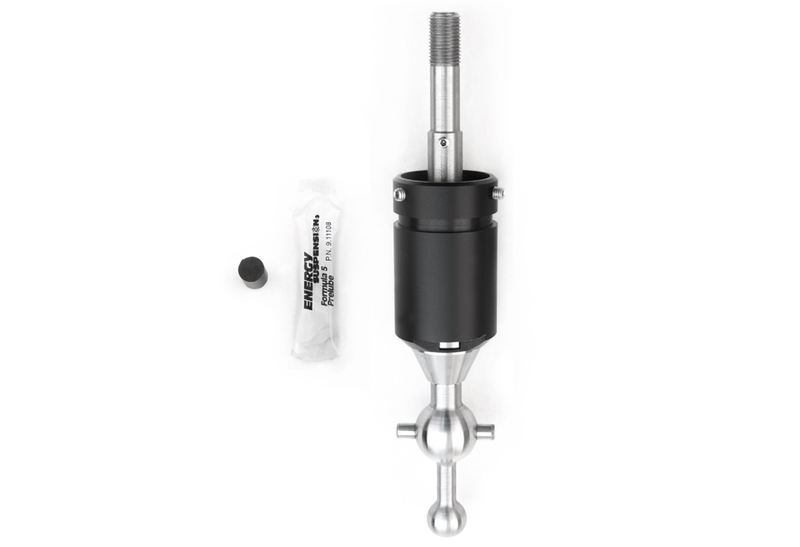 You can spend $500+ on an axle back or start with this. Amazing quality and sound. You will not be disappointed. 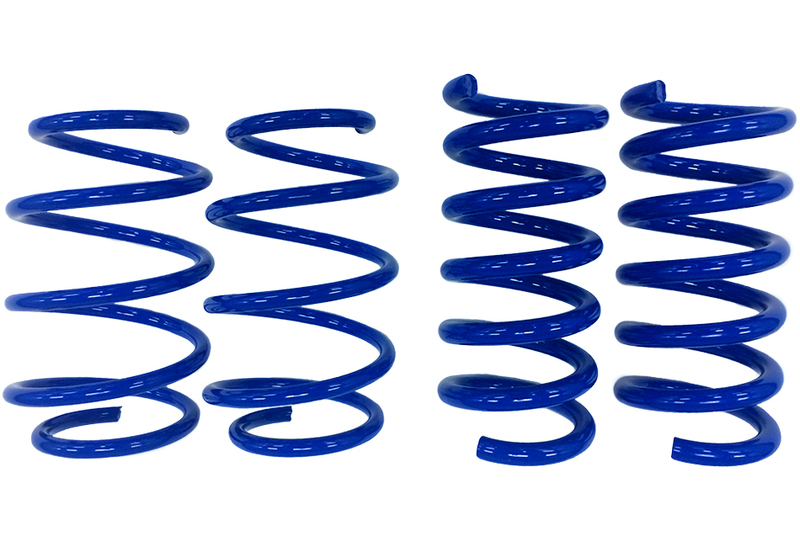 I just installed this on my 2018 GT. I love the sound! I also feel a little more pep. I have the active exhaust option, and this is a perfect match for it. The only downside, was the 2018 has heat shields where the cuts are made. We got around this. 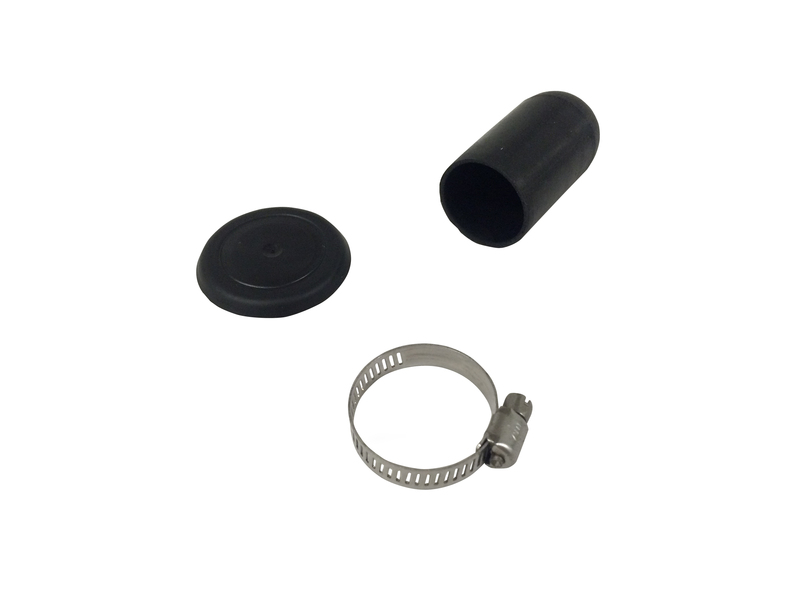 This X pipe is a good quality pipe and as very reasonably priced. Part has excellent build quality and welds, installation was done with very basic hand tools and a battery powered saws all. It took about 1/2 hour on jack stands and corrected the exhaust tip angle in rear valance. I am trying this x pipe with stock mufflers for now and it sounds great! No drone or adverse side effects. The first part of many future Steeda purchases! The part came faster than expected and fit perfect! Steeda was very easy to use and no drama! I bought the x pipe hoping for a tad bit deeper and a tad bit louder exhaust tones and this did it 10/10 rating from me. The x pipe is on a 2018 GT with the 10 speed auto. 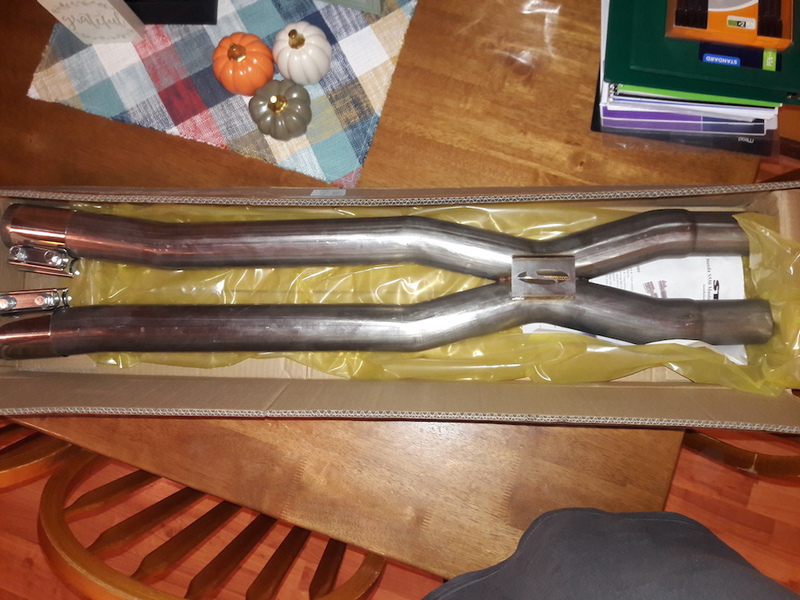 Bought this x-pipe for my 18 Mustang. Love the added tone in Normal and Sport mode. Screams in upper RPMs, throaty down low. Quiet mode is still quiet. In love with the growl, cold start sounds beast but when you rev it, the best for a cheap price. Great quality, great sound. Paired with a muffler delete, this is the perfect mustang tone. It has a low rumble/growl when cruising, but the gates of hell open when you get on it. Thanks for the great service/product, Steeda. Just got the X pipe installed and I also have custom muffler deletes. This thing sounds incredible and screams at higher rpms, and has a quiet rumble when driving regularly through the streets. The exhaust shop said it was one of the best quality pipes he’s seen in a while. Great product and fast free shipping! Great Pipe, cant beat the price! Wonderful fit on the 2018 Mustang GT. Half hour install. Has a very nice look, the Steeda "S" is a nice touch. Put this on a 6 speed manual 5.0 with non-active exhaust and this was exactly the sound I was going for. Got a little louder and a littler deeper and has that nice V8 "crackle". Look forward to getting more Steeda products on my new Stang. 5 STAR! Great product! Loved the aggressive tone it gave my car. Highly recommend.